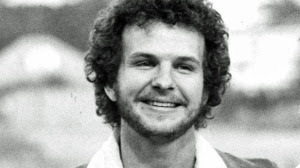 Folk rock musician Dan Peek, who sang lead vocals with the band America, has died at his home in Missouri aged 60. Peek was a member of the Grammy winning group for seven years and co-wrote numerous hits including chart topper A Horse With No Name. America's Dewey Bunnell said that Peek's music will "live on in the great songs he shared with us all." "We created lasting music together and experienced a life we could never have imagined," he added. After leaving the group, Peek went onto launch a solo career and became a pioneer in contemporary Christian music. He was nominated for a Grammy Award for his 1979 solo album All Things Are Possible. In a statment, Neil Portnow from the Recording Academy said: "Our deepest sympathies extend to his family, friends, and fans as we remember a dynamic individual and great talent."